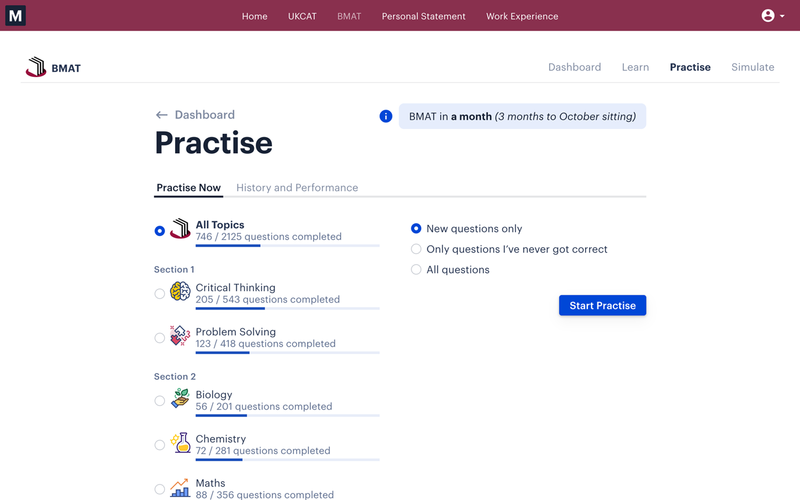 Beat the BMAT in 2019. Prepare for all 3 sections. Unlimited access to everything you need to prepare for your exam. Covering Sections 1 and 2, all with worked solutions and explanations. 860+ Automated marking & full solutions for BMAT past papers. Explore the syllabus and past-paper essays, with tips, tricks, strategies and advice to improve your score. Study on the go, whenever you've got data or Wi-fi. 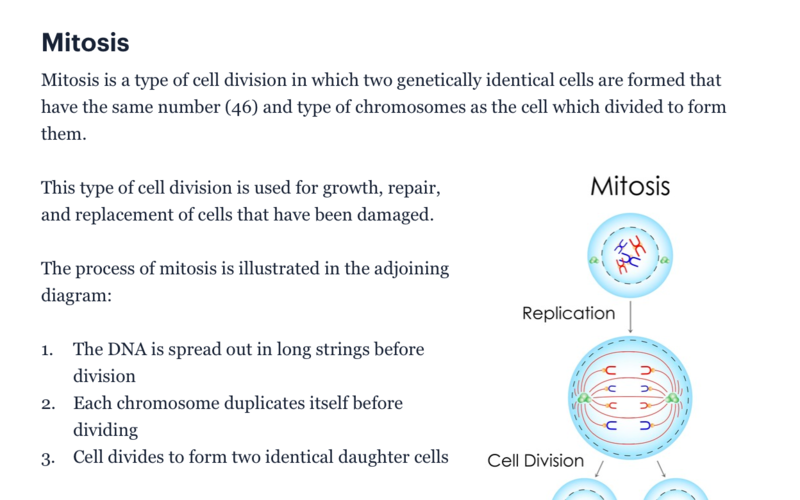 Revise with high-yield tutorials covering all 3 sections. Practise specific subjects to improve your understanding. Official past papers with full solutions and explanations. Learn just what you need. Breeze through the exam without gaps in your knowledge. Our BMAT tutorials cover the full syllabus and give you the edge. Detailed illustrations help to remember frequently tested key facts. Practise what you need to practise! Select subject-specific questions with our expanded question banks. All with detailed explanations and performance feedback, providing the tools you need to improve your score. Take control of your practise with the ability to choose specific topics, or even focus on questions you’ve got wrong in the past. 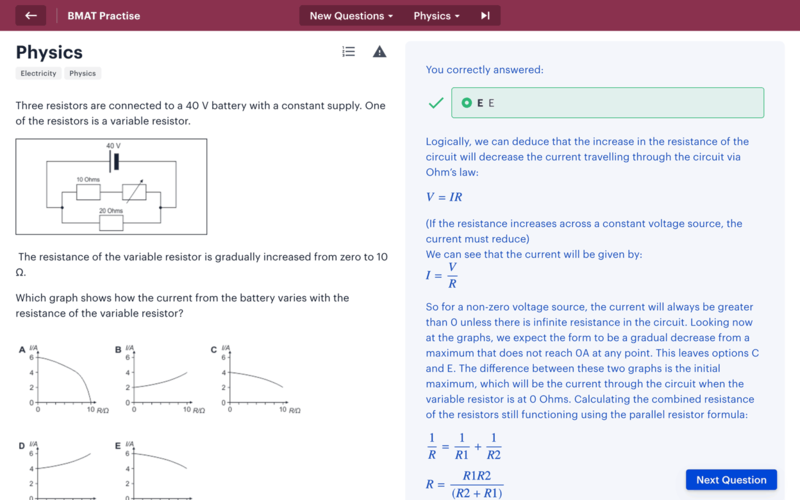 After completing each practice question, you‘ll immediately be marked and provided with full explanations on how to answer the question correctly. Practise on the go with our mobile and tablet versions, or at home on your computer. 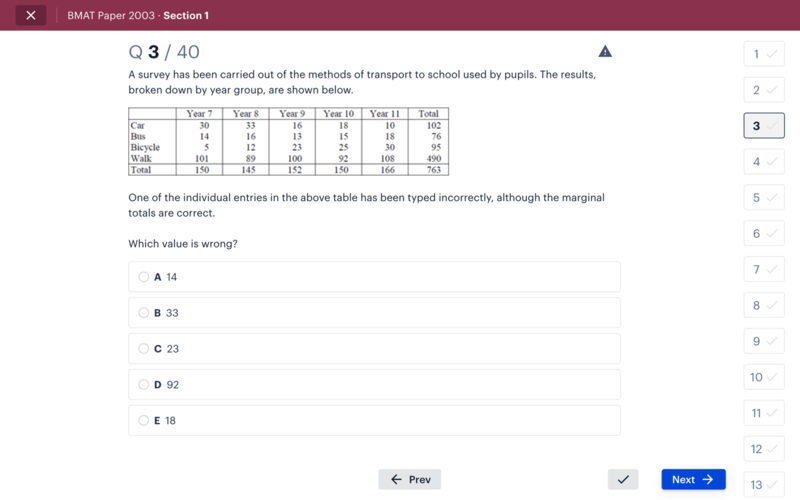 Simulate the exam with our fully-worked past papers. Focus your revision where you need it most. We score your past papers with the official results tables. What better way to predict your result? Past papers test your exam endurance and help you to focus on gaining marks in your weaker topics. We explain the correct answer, and also the incorrect options in case they catch you out. Set your own schedule. The course resources are available day and night right up to the exam. Past-Paper essay plans and essay writing tutorials.